Aseel joined the Generations For Peace Institute as the Outreach Officer in 2017. Her role entails identifying and analysing new trends and innovations in research, bridging the gap between research and practice, as well as enriching Generations For Peace’s portfolio as a learning organisation. Aseel previously worked with On Being, a Minneapolis-based podcast and media project which aims to create spaces for critical conversations and provide a platform for community healing through dialogue. Aseel graduated from the University of Notre Dame with a Master of Arts in International Peace Studies, where she focused on arts-based peacebuilding and embodied forms of knowledge. 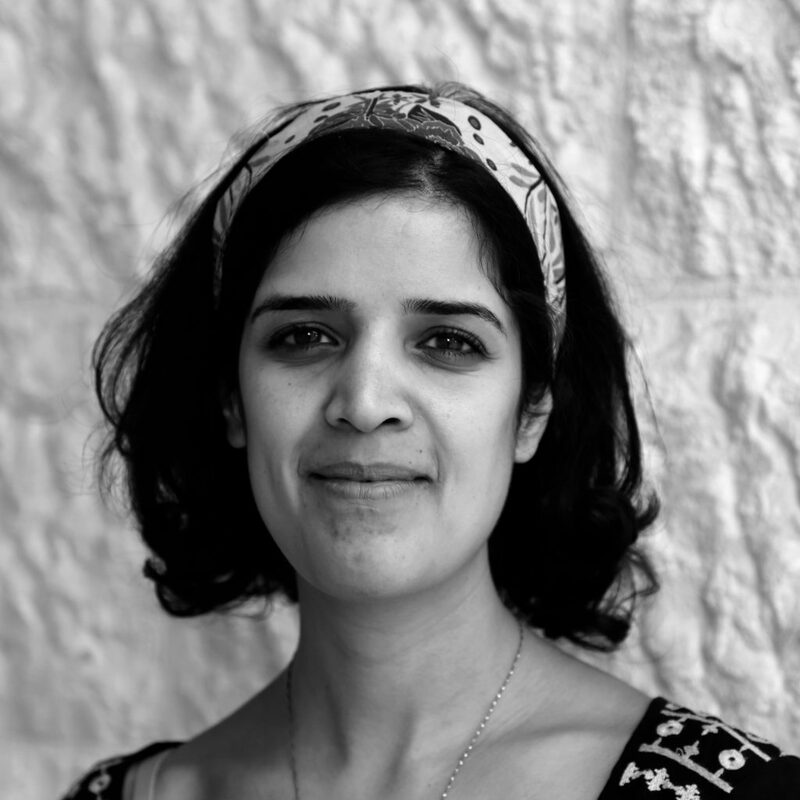 During her time as a student, Aseel interned with Ndifuna Ukwazi, a social justice movement based in Cape Town, where she helped design and implement an activism training programme that targeted young activists from Khayelitsha and Manenberg, and focused on using Theatre of the Oppressed and transformative pedagogy. Ever since she started developing a passion for arts-based education and the use of theatre for social transformation, Aseel has been following the work of Generations For Peace. Its commitment to participatory processes and reflective practice are some of the aspects that attracted her to the organisation. Aseel is passionate about alternative forms of learning, dialogue processes and cross cultural exchange. In her free time, she enjoys hiking, trying her hand at poetry and having long conversations about what it means to be human, over tea.